There’s no fool like an old fool. It was 90°F/32°C last Thursday and there I was under a hot sun moving heavy boxes of books to put in storage. By noon I realized I had dehydrated my body as well. When I returned to the home I’m vacating, sopped in sweat, it hit me all at once. Sunstroke/Heatstroke dropped me like gangbusters. I collapsed on my bed and slept all afternoon and 12 hours the next day arising occasionally to void dark-orange urine. At my age it is a miracle I didn’t have a cardiac infarct. It has taken three days to get back into a normal shape. Tomorrow the kids at the Children’s Home will be helping me move the heavy stuff, they’re on a week’s vacation for Semana Santa, the Holy Week before Easter. 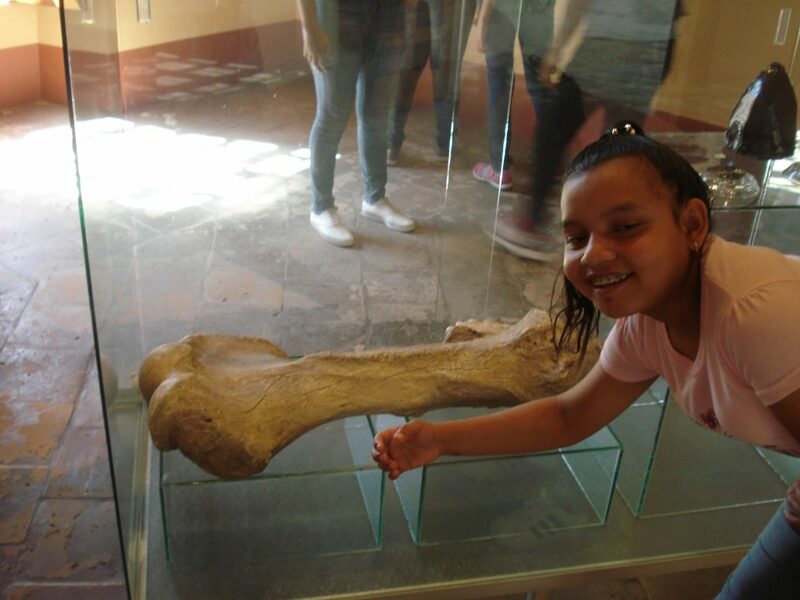 The week before the kids returned to school from their three-month vacation, I took them to the Comayagua Archaeological Museum where dinosaur bones millions of years old are on display, bones that have been excavated from the Comayagua Valley. 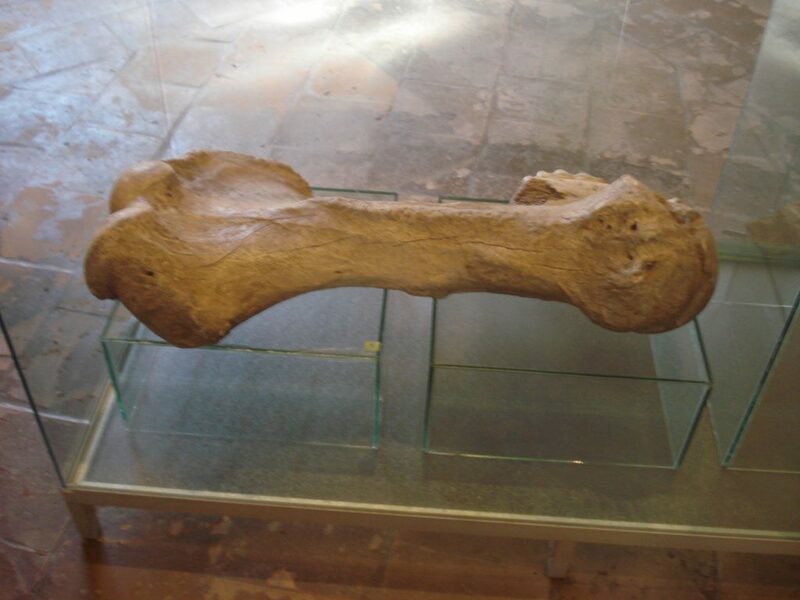 Celia compares her forearm to a dinosaur bone. This entry was posted in Everyday on 14. April 2019 by Fortunato Velasquez.